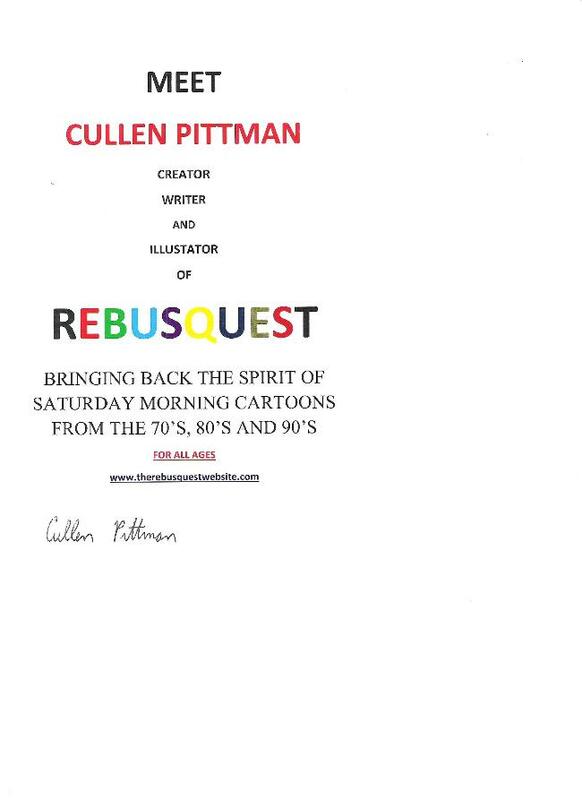 This is one of the Rebusquest fliers I usually hand out at sci-fi and comic book conventions. 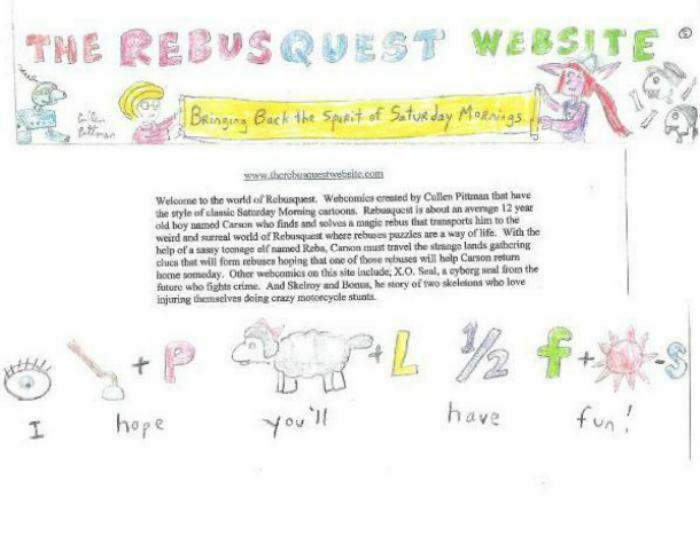 I was at the Virginia Comicon in Richmond this February 17, 2013 advertising Rebusquest. 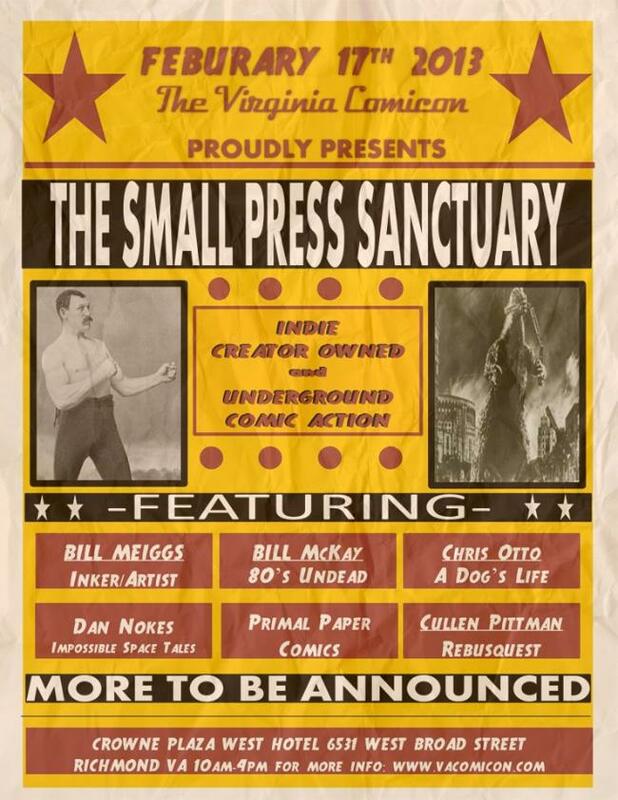 They were even kind enough to mention my name and my works in their flier.